The St. Louis Cardinals and Metro transit are teaming up to offer Metro Days at Busch Stadium, and transit riders can take advantage of special discounts for select Cardinals games. 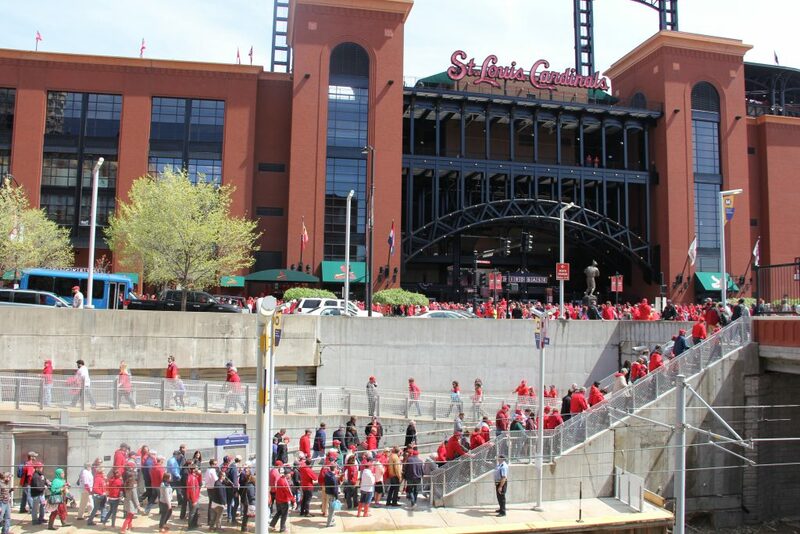 Every year, thousands of baseball fans take Metro to Busch Stadium and avoid parking and traffic before and after the game. This year, they can also score on some great ticket offers. To take advantage of these special ticket discounts, visit the Metro Days page on the Cardinals’ website and click on the green “Buy Now” button next to your game of choice. Let Metro and the St. Louis Cardinals help you save money on your tickets to the big game, and conveniently get you to and from all of the action at Busch Stadium. Why can’t limited stops trains be put into service after sporting events. After a Cardinal game, the blue line could stop only at Brentwood and Shrewbury, while the red line would go straight out to Hanley. Local riders wouldn’t have to squeeze into a train. It might make riders feel safer. Thank you Kas for your feedback. I’ll make sure MetroLink operations takes a look. To my knowledge, it’s very rare that we turn MetroLink into a express-style service. For one, we only have a limited number of head signs available on our trains to let passengers know which train goes where. And since we rarely do it, there would have to be a lot of learning involved (from both an operation and public point of view) in order for it to be successful. That being said, I’ll go ahead and send this to MetroLink and let you know what they have to say. Thanks!